For those of you in the Houston area I would like to invite you to A Night in the Garden, a night of fashion and philanthropy. 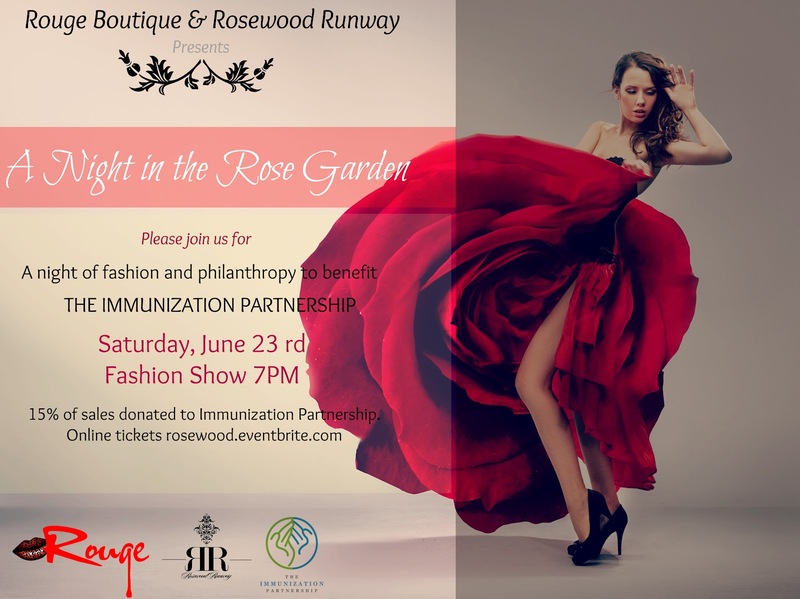 A Night in the Garden is a runway and shopping event to benefit The Immunization Partnership. The fashion show will be held on June 23, 2012 at 7pm at Rouge Boutique. Register to attend the event here. The Immunization Partnership will also be on hand during the day providing immunizations for children 18 and under. For more information check out http://immunize.eventbrite.com/. Labels: fashion show, immunizations, meningitis, philanthropy, Rouge Boutique, The Immunization Partnership.